What's Travel Money Monkey ? Travel Money Monkey finds the best UK deals for your holiday cash. Save time and £££. Simple. Compare foreign currency exchange rates from the UK’s leading travel money bureaus. Compare prices for converting £ GBP (British Pounds Sterling) to 90 foreign currencies. 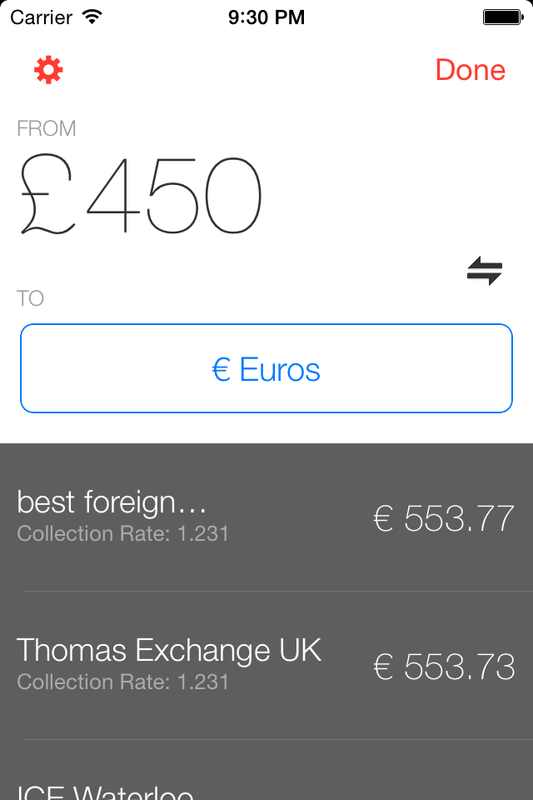 Use the Flip button to convert your leftover foreign cash back to £. No hidden costs: this app takes commission and all of the bureau’s charges into consideration and gives you the real deal. Collection or Delivery mode: compare the best exchange rates from High Street bureau de change outlets; or compare bureaus that exchange cash by delivery. London mode: if you’re in London, turn this ON to include extra, ultra competitive bureaus that operate in the London area. Tap on a deal to see more information and reveal the bureau’s hidden costs. Tap the link to go to the bureau’s website. Find your nearest branch.